The son of Scandinavian immigrants, Haddon Sundblom is best known for his illustrations of Santa Claus for Coca-Cola advertisements. 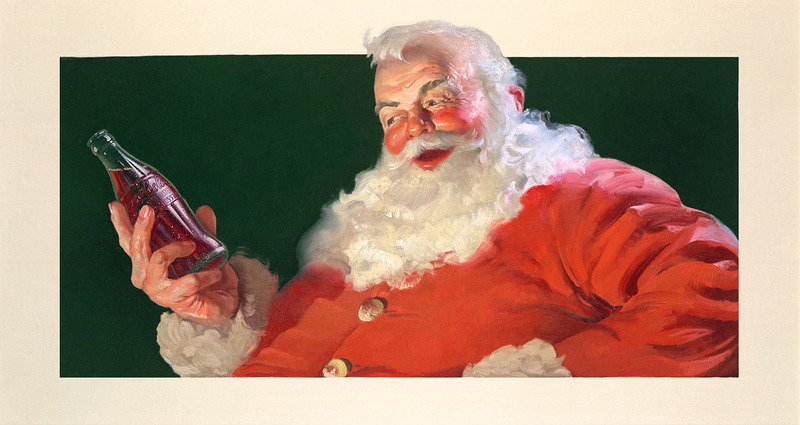 He illustrated Coke's Santa from 1931 to 1964, though Sundblom's Santa is so entwined with Christmas and Coke, the company continues to use his paintings to promote their product. So important was the relationship between Sundblom and Coca-Cola that his version of Santa remains the most recognizable. In 1957, Sundblom's illustration of the Quaker Oats man helped to popularize the brand. In addition to his advertising work, Sundblom painted hundreds of pin-up paintings. A mentor to Gil Elvgren, Andrew Loomis, and others, Sundblom is credited as one of most influential pin-up artists of the 20th Century. Buchholz, Karleen. Coca-Cola Collectible Santas. Dallas, TX: Beckett Publications, 2000. Charles, Barbera Fahs and J.R. Taylor. Dream of Santa: Haddon Sundblom's Advertising Paintings for Christmas, 1931-1964. New York: Gramercy Books, 1992.